#3. Mount Tamalpais from San Rafael. 19.5 x 33.5, oil on canvas. "Gilbert Munger" lower right. 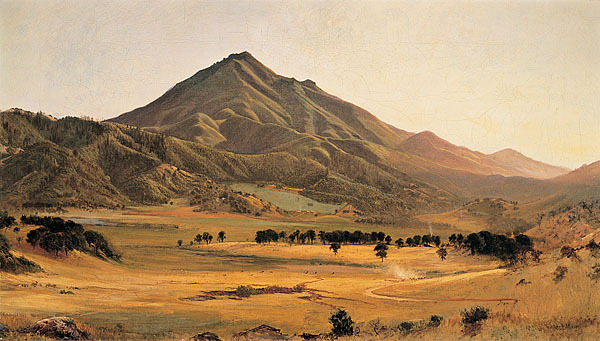 The view is to the west showing the East Peak and the Murray Ranch as a green patch at the end of the valley. Shows substantially the same view of the mountain as paintings #80. 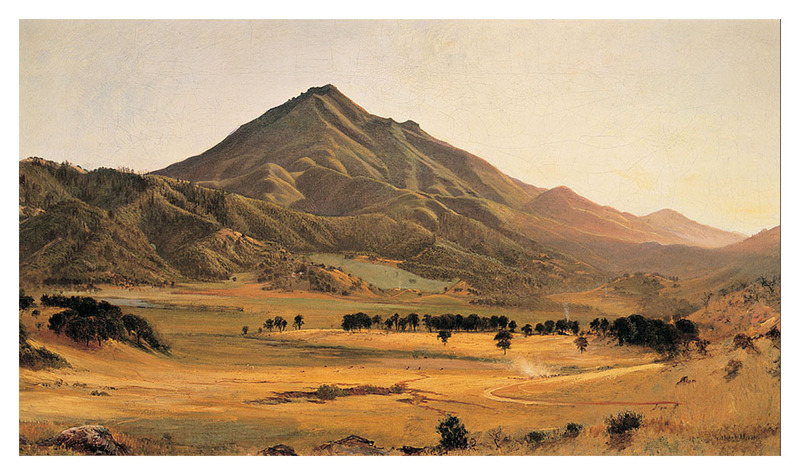 Sold for $2000 + 10% at Christie's, New York, auction of 7 Dec 1984, lot 153, as "Foothills of the Rockies". From North Point Gallery, San Francisco, in 1987 to a private collection. IAP 62642210. QFD 20. See California History LXXI, 1 (Spring 1992), p. 2. Image from North Point Gallery transparency.